Welcome to the world of Windows 8. We're happy to have you here. Have a look around and check out our apps. You hopefully find some you'll enjoy and have fun with. We also offer development of windows 8 app store apps. We may already have something you looking for... just search the Windows App Store for "syscro". It's simple. We create Windows 8 Apps for the new Microsoft App Store! syscro.com is a Start-Up and Member of Microsoft's BizSpark Start-Up Program, targeting world wide the English- & German-speaking End-Consumer Markets. 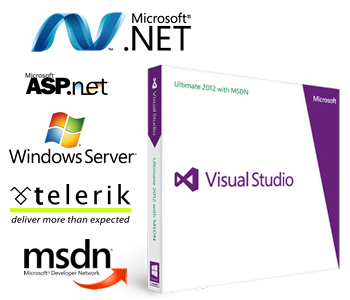 We use Visual Studio 2012 with C#/XAML for the Windows8 (WinRT/x86/x64) development. We also love Telerik's Controls and Components. For connectivity ASP.NET MVC (WebAPI with JSON) and WCF are our weapons! We can offer consulting and/or ready-to-publish developed apps. 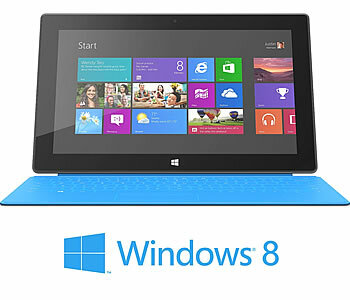 Please feel free to contact us regarding Windows 8 Store Apps development. Please contact us for feedback or any matter regarding our Apps! * Please notice: We only provide support by E-Mail. There are no guaranteed reaction / reply times for apps purchased over the Microsoft Windows App Store.